He was massive to me, Marc Bolan. Me and my friends used to him follow him all around London and everything. And I think what appealed so much was his androgyny. The way he could be so very sexual and so open, but it wasn't at all threatening to young girls. It wasn't babyish, like David Cassidy. It was very intense. But you somehow felt that you were in control. That he could just as easily be dominated as dominant. And the whole cross gender thing, the glitter, you almost felt you could be him. And that was a very new thing for men to be so vulnerable and pretty. I guess it was a great way in to discovering your sexuality, it was a nice easy in. It was also the first time I ever listened to a guitar part. Because back then girls didn't really listen to guitar parts, it was a guy's thing. And guitars were really macho things then and I couldn't bear say, Hendrix's guitar playing, it was too in your face and too threateningly sexual, whereas Marc Bolan's guitar playing was kind of cartoony. And I could sing the parts. They weren't virtuoso, they were funny, they were humourous guitar parts. So the first time I ever listened to guitar was Marc Bolan as well. Strangely, I love 'Life's A Gas' which isn't at all guitar-y. It's such an understated, pretty little song. And 'Get It On' is such a great song. 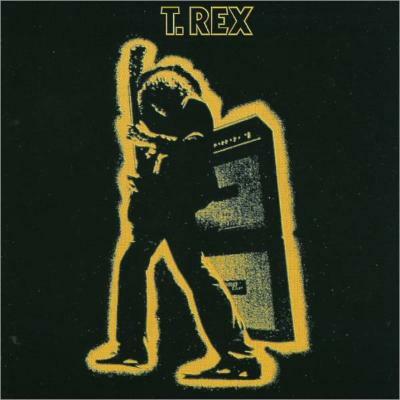 But in some ways I prefer some of the tracks on T-Rex, the album before. But I feel like this was the one where he went electric and the whole sound, the whole cartoony, sexual, and humourous thing, it's very English as well. I think Prince has taken so much from Bolan. And I became quite intrigued with his wife, June Child. She was almost as important to me as him because we had no female role models. I'd take a copy of NME and see a picture of her in the garden, dressed up in a top hat, and she seemed mysterious and interesting. I knew she had a job in a record company. I was looking for people to aspire to be. And there were only little glimpses of girls doing something interesting, so I fixated on her quite a bit. I'd try to get to talk to her backstage after gigs. We'd try and get her to let us in backstage but she wasn't having it. She was a right stroppy cow.